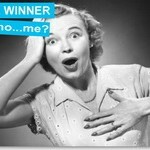 Do Online Lottery Sellers Really Buy the Ticket? Looking at the different online lottery sellers, it’s easy to wonder ‘Do they buy the ticket?’ Given the odds against winning the big jackpot, companies could just take your money and cross their fingers that the big jackpot doesn’t happen. Some online betting companies actually do this. They insure themselves against the odds of a big jackpot being won. Several online lottery companies provide the opportunity for players to bet on the numbers that will be drawn on international lotteries. It is much the same as playing lotteries online except the company don’t purchase the ticket lines. It’s usually a little less expensive than the online lottery sellers that have one of their agents buy the ticket, and the prizes/jackpots aren’t as big as what takes place in the actual draw. Most online lottery sellers have various agents in all the locations for the lotteries they offer. Their agents physically purchase the tickets that you order. Some scan the ticket and send a copy to you, and some just hold the physical ticket with online confirmation. The big thing here is to make sure you are confident that your online lottery ticket seller is purchasing your lottery tickets. Online lottery ticket suppliers have grown along with the popularity of lotteries. It’s great to be able to play any lottery anywhere in the world. But up until 2011, it was considered illegal to play online lotteries in the United States. In early 2012, the rules and regulations for buying lottery tickets online in the United States were finally clarified with Illinois being the first to offer online lottery tickets. This is steadily expanding including a variety of states that do not impose a state tax (federal tax still applies). Not all of the states in the US open up the big jackpots like US Powerball and Mega Millions to foreigners. Each state has to pass their laws on whether a lottery is going to be played online within the state as well whether non-US citizens can play. The other great thing – lottery players can play any of the lotteries offered internationally. Whether it is Spain’s El Gordo or Australia’s Oz Powerball, all players have to do is set up an account with an online lottery ticket provider and they are in the game. 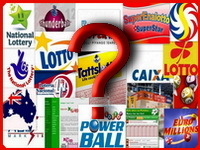 Check out online lottery ticket sellers to see what games they offer. Some of them only provide limited games where they have agents to purchase the ticket in the country. Good lottery ticket sellers have set up an extensive network that can offer all the big international jackpots. My Lottery Ticket, I Won! In most cases, online lottery ticket sellers will collect your prize and deposit it to your account. But, if you do win that big jackpot, the winner has to go pick up the prize. Arrangements are made with the online lottery ticket seller to transfer the winning ticket for collection physically. They usually have their local representative go through the process with you. But folks, you’ve got to play to win! I see all lottery require winner to collect however if purchased thru an agent are you not in essence providing them, a POA to purchase the ticket and claim the prize both small and large it doesn’t matter the value? are there any cases where the lottery refuse payment considering the ultimate owner of the ticket, purchased by proxy? 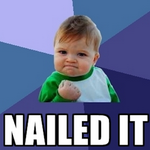 I Just Won the Lottery… Again! I’m on Fire! Lottery Business Models. What’s It Going to Be, Insured Lottery Tickets or Uninsured Lottery Tickets? Dig In!